The LA Leakers just blasted off a new single from Teyana Taylor and Chris Brown. DJ Mustard laced the Adina Howard inspired track with some bass heavy sounds. Despite being a new mommy, Teyana gives her fans a reminder that she likes to get her “Freak On” — every now and again. This entry was posted in Uncategorized and tagged chrisbrown, New Music, Teyana Taylor on June 20, 2016 by aajent837. Tyga is focusing on him and we’re not mad at it. The California rapper stopped by Big Boy’s Neighborhood to discuss his current ventures, his status with Cash Money Records, and his high-profile relationship with Kylie Jenner. When asked about his on-and-off relationship with Jenner, Tyga felt as though the exploitation of the relationship overshadowed his career. “When you’re in a very public relationship like that, it’s hard for other people to see you differently than that. Being in that, it took a lot, career-wise, everything. It overshadowed a lot of my talents and a lot of things that I worked hard for,” says Tyga to Big Boy. 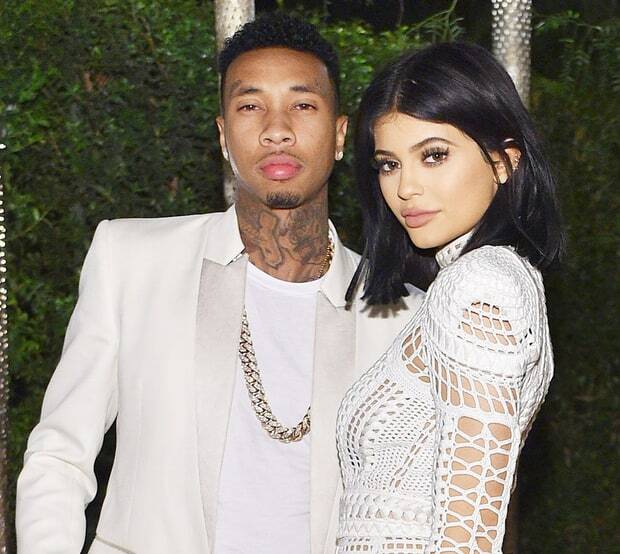 Though both have since moved on, Tyga insists that there is no bad blood between him and Kylie. This entry was posted in Uncategorized and tagged baewatch, kylie, Tyga on June 20, 2016 by aajent837. Congratulations LeBron James and the Cleveland Cavaliers Make History as 2016 NBA Champions! 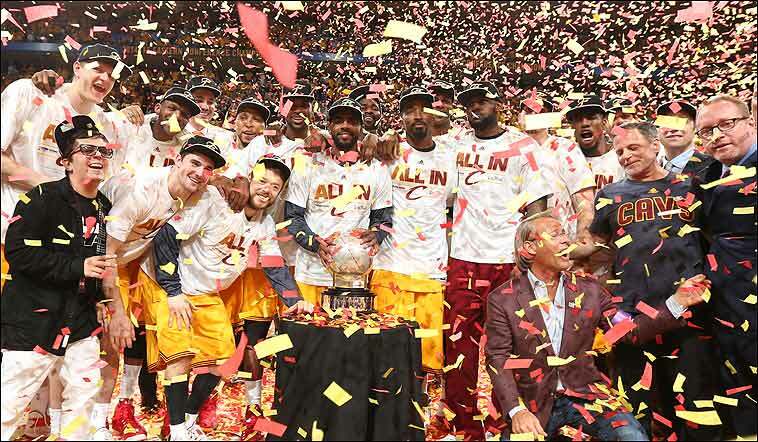 The NBA Finals concluded as dramatically as they started, and the Cleveland Cavaliers have been crowned the 2016 NBA Champs. After a historic series that featured some the most lopsided wins in NBA Finals history and entertained fans with as much drama off the court as on, LeBron James put in another incredible performance to lift his team over the historically successful Golden State Warriors and delivering a disappointing end to their 73-9 regular season record. While games 1 through 6 were never close, Game 7 was a classic matchup where the lead changed multiple times in a nail-biting, and heart pounding battle. This entry was posted in Uncategorized and tagged basketball, cavs, lebronjames, NBAchampionship16, nbafinals on June 20, 2016 by aajent837. Kendrick Lamar’s surprise new album Untitled Unmastered is out now! Ask and you shall receive. Ready for new Kendrick Lamar? okay here goes. These past few days TopDawg ENT’s CEO Anthony Tiffith teased that an album from his camp would be released at any given moment. Tiffith even drew attention by showing a vision board that listed ScHoolBoy Q, Ab-Soul, Isaiah Rashad, SZA and Kendrick Lamar. Next to K. Dot’s name was a flurry of question marks with a note to get on the phone and discuss. Turns out, instead of a Groovy Q project, we’ll be hearing from King Kendrick again. Which makes sense after people rallied for the “Untitled” songs to he had been performing at live appearances to be released. Even Lebron James chimed in to lobby for a compilation of some sort. According to info on Spotify, it will be called “untitled unmastered“. However, if the album will be available on Spotify, what was the point of hanging out with Jay Z at the Super Bowl and Warriors game? This body of work will contain eight tracks that vary in time between from 2013-2016. Check the tentative track list below and cover art. This entry was posted in Uncategorized and tagged Kendrick Lamar, Untitled Unmastered on March 4, 2016 by aajent837. There’s about to be a girl fight! Rihanna may have just started a Tidal turf war with Beyonce over where their songs are placed on the streaming service’s charts. Eek! Rihanna, 28, might find herself in hot water with Jay Z, 46, once the news of her latest Twitter interaction spreads. Many fans believe that the “Work” singer was throwing major shade at Beyonce, 34, all because of a tweet she liked. Uh oh, what’s going on here? Rihanna and Beyonce’s fans are in a total uproar over a recent favorited tweet, and now many are accusing RiRi of trying to shade the Queen B herself. This does not sound good! “The fact that ‘Desperado‘ is HIGHER on the Bubbling Under chart than a single performed to a global audience,” reads the tweet, originally posted by @DruChaos and later deleted after Rihanna favorited it and drew even more attention to his words. The tweet also includes a picture of Jay Z with his hands clasped in front of his face as if in shock over what’s being said. For those of you who don’t already know, ‘Desperado‘ is a song featured on Rihanna’s ANTI album, and fans are assuming the “global audience” song is, of course, Beyonce’s “Formation.” Just one day after Beyonce released the music video for “Formation,” she performed it during the 2016 Super Bowl Halftime. However, “Formation” is not available anywhere other than Tidal and can not even be purchased for download on iTunes like ANTI can. This entry was posted in Uncategorized and tagged beyhive, Beyonce, Rihanna, rihanna navy on March 2, 2016 by aajent837. 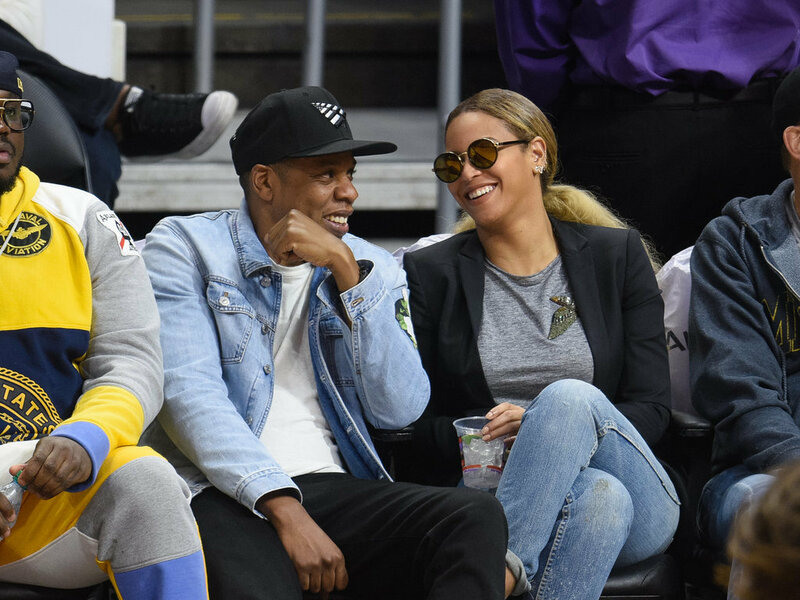 Jay Z, left, and Beyonce watch during the second half of an NBA basketball game between the Los Angeles Clippers and the Brooklyn Nets, Monday, Feb. 29, 2016, in Los Angeles. With almost everything Beyoncé and Jay Z do, they continue to give us relationship goals. On Monday, the pair shared a slew of romantic moments when they watched the LA Clippers take on the Brooklyn Nets at the Staples Center. Not only did they look super coordinated in their blue-jean ensembles, but the couple couldn’t quit smiling at each other throughout the game. Even with her sunglasses on, you can still tell that Beyoncé had that look of love. Over the past few months, the two have been filled with flawless appearances, from their date night in LA to their other basketball game outing. Keep scrolling to see the rest of their night, and then check out all the times they looked crazy in love. This entry was posted in Uncategorized and tagged Beyonce, clippers game, Jayz on March 1, 2016 by aajent837. Katt Williams has challenged Kevin Hart. Hart has responded to Williams but it doesnt seem like he is too worried. If you ask me, Williams is trying hard to get a reaction out of Kevin Hart. Kevin Hart is truly not thinking about Kat Williams. Would be a funny battle though. This entry was posted in Uncategorized and tagged Beef, comedian, katt williams, kevin hart on March 1, 2016 by aajent837. Frank Ocean’s New Album ‘Boys Don’t Cry’ Is Reportedly Dropping Soon! Serena Williams’ Struggly ‘Twerk Tutorial’ …Get it Girl or Girl Bye?